Thanks to my old Army buddy Gary Linderer’s prodding of former “Lurp” team members to write down their military experiences, there is great library of books detailing the combat exploits of a number of the Long Range Reconnaissance Patrol units in Vietnam. For those of us focusing on military knives, Larry Chamber’s Death in the A Shau Valley: L Company LRRPs in Vietnam 1969-70 is an especially good read. This unit started out as the 101st Airmoble Division’s F Co. Long Range Patrol (Airborne) 58th Infantry before being reflagged in early 69 as one of the then new 75th Ranger (Airborne) detachments. As the title of his book indicates, L Company of the Rangers worked one of the most dangerous AO’s in Vietnam—A Shau Valley, next to the border with Laos. In one of Larry’s chapters, he details a mission led by team leader Jim Bates into Quang Tri province that unfortunately started out with the Lurps being mistakenly inserted by helicopter 12 kilometers from where they were supposed to be. Things quickly went downhill from there. Due to bad weather, they could not be picked up and reinserted in the correct spot that day so they were forced to lay low on a nearby hilltop until the next morning. 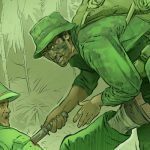 When their point man, Jim Rodarte, went in search of a LZ for their extraction he quickly spotted a group of enemy NVA soldiers setting up an ambush 50 meters down the slope. While the enemy seemed to know the Lurps were in the area, they had not yet located their exact position. Rodarte was then directed to search for a possible helicopter extraction point in the opposite direction of the ambush site. A moment later both the point man and an enemy solider opened fire on each other. Still more enemy machine gun fire hit the team from two directions around their position. Team leader Bates tried to fire a long burst from his CAR-15 into the woodline to give Rodarte cover to pull back to the main position of the team, only to have his weapon malfunction. (I might add that CAR-15’s were pulled from service in my own unit at about the same time due to the fact they were proving less reliable than the standard M16). 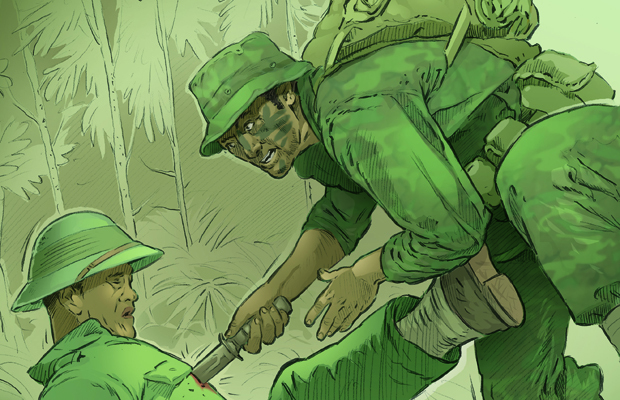 Before Bates could clear his jammed weapon, an NVA soldier stepped out the jungle with his AK-47 pointed at Rodarte’s back. While the enemy was less than 15 feet away, he wasn’t aware of the Ranger to his rear. Rodarte, on the other hand, was a dead man if Bates didn’t do something fast! Dropping the useless rifle, he drew the combat knife from its scabbard, let out a loud war cry, and rushed the NVA soldier. The enemy was momentarily panicked at the sight of the camouflaged painted Ranger screaming down on him knife in hand. Before he could recover Bates was on him, driving the 7-inch bladed knife to the hilt in his chest. Unlike in the movies, real people normally do not instantly die from a knife wound. The NVA let out a howl of pain and tried to beat his attacker off with his fists while Bates wrestling with him on the ground. Eventually, the NVA gave up his life for Uncle Ho’s dream of universal communism. Picking up the dead man’s AK-47, Bates joined his teammates before the enemy regrouped and launched another assault on their position. Retreating, they dug in on a hilltop waiting for the inevitable counter attack, only to hear the welcome sound of approaching Cobra gunships. Popping smoke to mark their position, the team’s RTO (radio telephone operator) relayed the enemy’s location to the helicopters and a gun run was made on the valley below them. Naturally, this forced the NVA into trying to overrun their position, but the attackers were again beaten back. The hilltop was just open enough for a Huey slick to drop a rope ladder which the team snaplinked on to so they could be lifted out under fire from the jungle. Dangling below the bird, they rode all the way back to their basecamp on this ladder. Bordarte found his camo fatigues had numerous bullet holes in them while Bates discovered his watch had been shot off and one of his M16 magazines had a 7.62mm hole from an AK in it. Eventually, Bates received a Bronze Star with a V for valor for his heroic actions that day. If there is a lesson to be learned here, it is that all firearms malfunction sooner or later, and usually at the most critical moment. 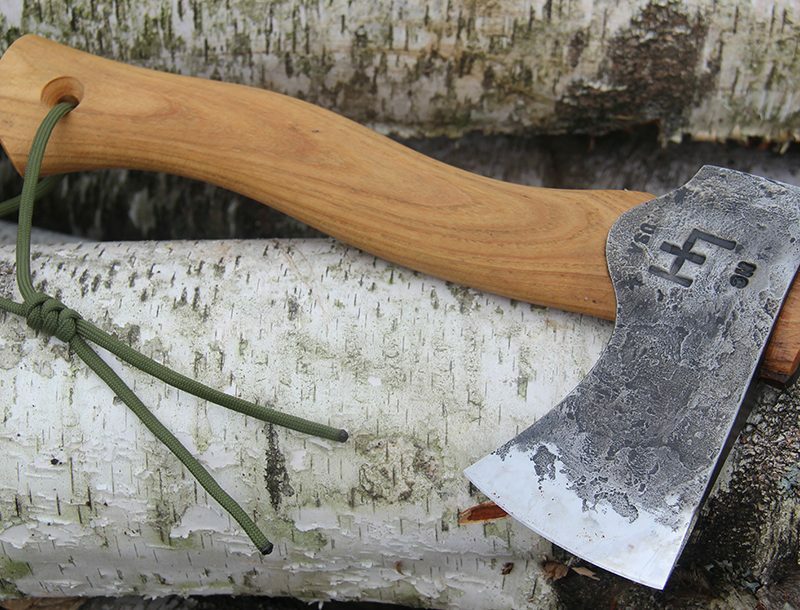 A combat knife may be something you are forced to carry for months on end without ever needing as a weapon, but when you do, any encumbrance it may have caused in the past will be instantly forgotten. 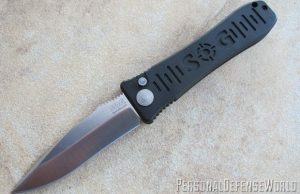 The Navy MK-II-USMC fighting/utility has probably saved more lives in situations like this than any other knife in American history.